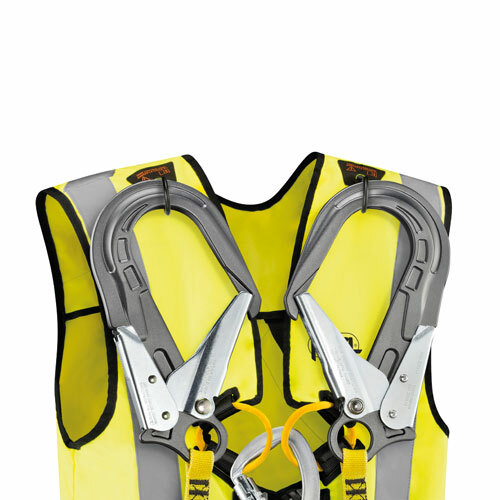 The NEWTON EASYFIT HI-VIS is a fall arrest harness with a high-visibility vest that is easy to put on. 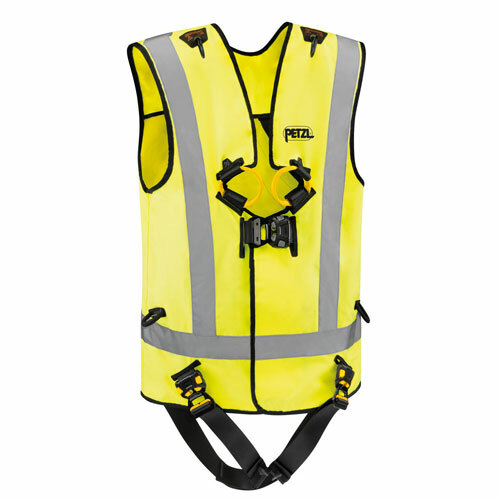 It has a fluorescent-colored vest with reflective strips, making the worker highly visible. It is easily donned thanks to its EASYFIT design. 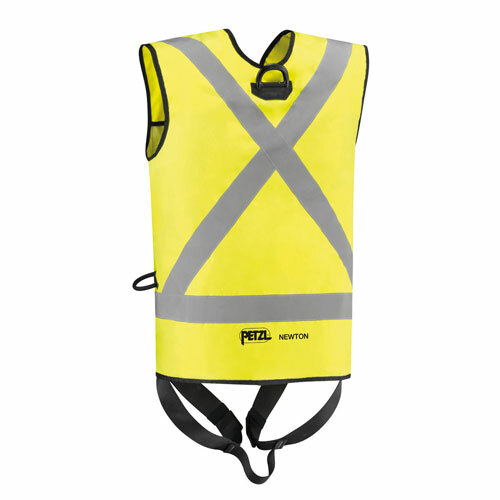 A vest ensures the harness keeps its shape, and the FAST automatic buckles (sternal and leg loop) allow the harness to be donned with both feet on the ground. It offers ergonomic stowage of MGO connectors and has fall indicators. It is certified to North American, European and Russian standards.